Blog entries, for blogs related to past projects. 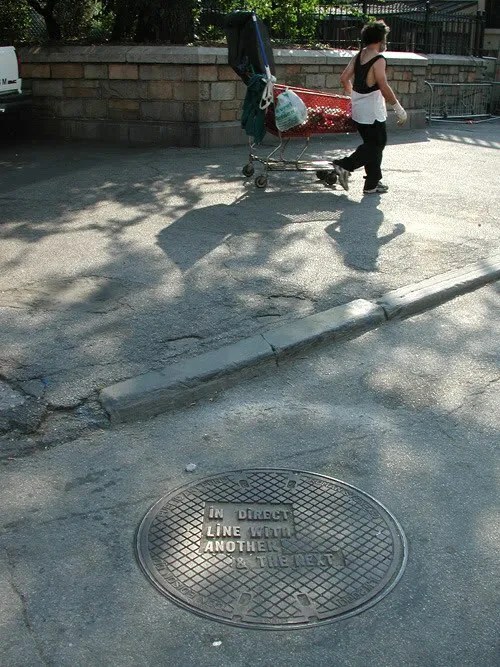 What do you get when you put Vito Acconci’s, Joseph Beuys’, Dan Graham’s, Richard Serra’s, and Lawrence Weiner’s words together, to create a conversation about public art? In 2006 I interviewed Dan Perjovschi, for the Dutch art magazine Metropolis M. To be perfectly honest, I had a tough time getting started with it, primarily because I’m a huge fan of Dan, and of his work. You’d think that would have made things easy. In the end, I think it did. I’ll let you be the judge. Read it here. Once, over a few beers, Annie Fletcher and I had this little idea. It was a pretty simple one, we wanted to make an art fanzine. Why? 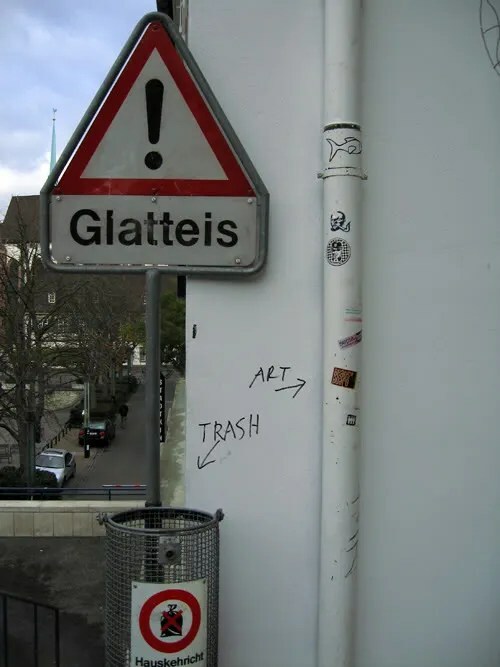 Because we were fed up with the status quo of art criticism. We wanted to do something different, namely make a publication for people, such as ourselves, who weren’t afraid to call a stone a stone, or a rock a rock. 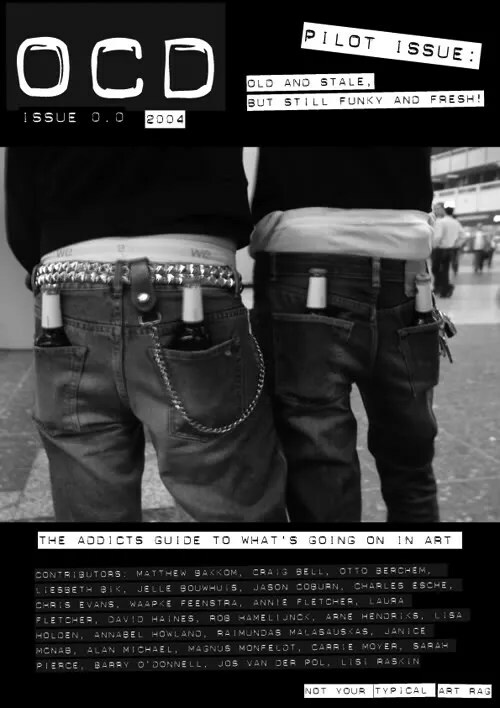 No more same ol’, same ol’, nope, this was a publication for art junkies. We called it “OCD”. Every month, at least every month during the ‘season’, the last Friday is reserved for openings, and trolley rides. This past Friday was marked by the opening of Memphis College of Art MFA students Catherine Blackwell-Pena and John Gutierrez showing their work, as well as the launch of a project by Dwayne Butcher, for the 10th anniversary of the Urban Arts Commission. Yesterday was the 40th anniversary of the assassination of Martin Luther King, Jr., which was marked by a series of events, including a Recommitment March, lead by the Rev. Al Sharpton, ending at the Lorraine Motel, where King was gunned down, now the National Civil Rights Museum. A vigil, to commemorate King and his legacy was held from the former motel balcony, where speakers, including his son Martin Luther King III, daughter Bernice King, and Jesse Jackson, spoke about King, his work, and his ongoing legacy. Last night, over a dinner with several CODA students, Charles, John Weeden, and Hamlett Dobbins, Hamlett told us about a documentary that I definitely must see, about entertainer/actor/performance artist Andy Kaufman’s wrestling career. While I was aware of his foray into professional wrestling (I’m even old enough to remember it before seeing Man on the Moon), I did not realize that Memphis played such an important role. Kaufman came to Memphis, and went out of his way to belittle the citizens of Bluff City, as well as the entire South. It was all part of his act as the ‘bad guy’ to the local ‘good guy’, former art student, turned professional wrestler, who also happened to secretly ‘get’ Kaufman’s act: Jerry Lawler. This gives you a taste of Kaufman’s critique. Hopefully I haven’t made any similar faux pas (intentional or not). If I have, Mr. Lawler and the good citizens of Memphis, please don’t hurt me.